Generally, the shift from summer to autumn can be difficult when the weather doesn’t turn much colder here in Ladson, SC. If you want to immerse yourself in the mood of the season, try a few choice activities to get that autumn feeling in your life. 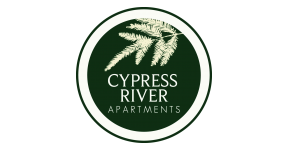 In this week’s Cypress River Blog, we’ve got a list of a few activities that you can do to help you celebrate the season. Head to a pumpkin patch or your local grocery store to grab yourself a nice big pumpkin to carve. Whether you’re carving the pumpkin to decorate for Halloween, or just for decorations, the pumpkins on your balcony or patio will add to the autumn atmosphere of your Ladson, SC apartment. If you’re unsure what to carve in your pumpkin, you can look on the internet for stencils or inspiration! Looking for fun for the whole family? Look no further than the local corn maze! Navigate your way through a maze, check out the animals at the farm zoo, or enjoy a relaxing hayride. No matter what you do, you can enjoy the fall festivities despite the still warm weather. What better way to get into the mood of the fall season than by catching some Halloween movies? There are many horror movies to choose from, like Texas Chainsaw Massacre, Scream, I Know What You Did Last Summer, and Nightmare on Elm Street. The Halloween season is a good excuse to cuddle up on the couch in your apartment and to enjoy something that gets your heart pumping and blood flowing! Do you have anything you do to get into the fall mood? If so, let our apartment community know by leaving a comment! We’d love to hear from you. Thanks for reading!